Through its compact construction, its classic control panel and its robust, stable technology, the RedMIG machines are the perfect answer to any craftsman employing the machine in trade work, vehicle workshops or in the service and repair field. 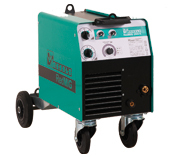 Ideal for sheet steel work up to 5 mm. Powered by standard 230 V supply. 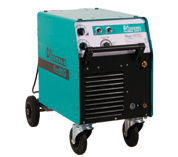 The universally adaptable machine with a 200 A welding capability. Precise setting of the welding current due to 7 or 14 steps. Operation modes: 2-stroke/4-stroke/stitch and spot welding. 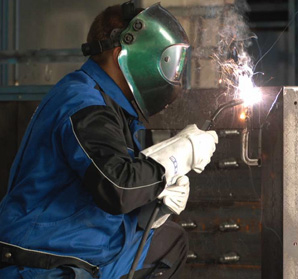 Stepless control of welding and intermission time. Euro connector as a standard. Wire burn back as standard. Thermal protection of the main transformer and rectifier. Lowered galvanized gas bottle holder assures a safe positioning of the cylinders. Approved for operation in confi ned areas, S-symbol. 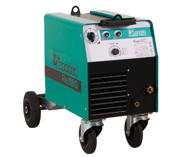 Easy handling of the unit due to big and robust swivel and carrier wheels. Comes as a standard in RedMIG 2800/3000 K.
Big rollers with 2 wire diameters. No tools needed for roller changes. Easy access at wire insertion. Directly fl anged EURO torch connector. 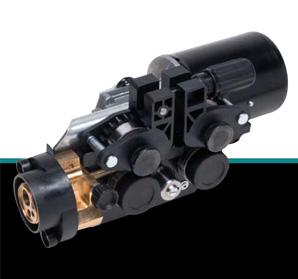 Precise and reproducible wire feed pressure adjustement.